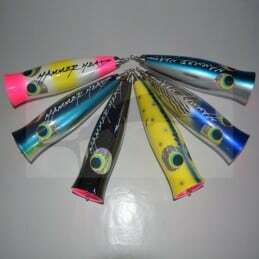 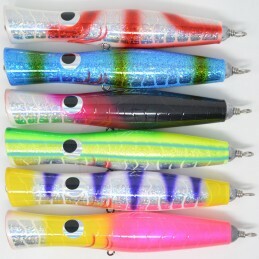 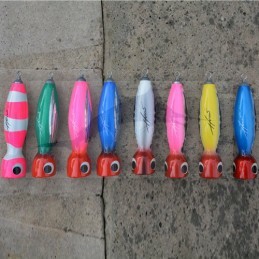 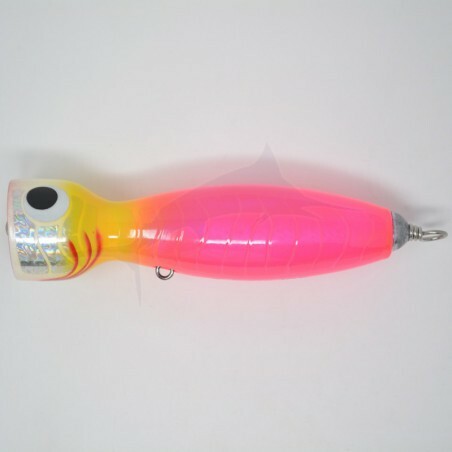 Generates a big pop and splash it is guaranteed to raise big GTs and other big reef dwellers. 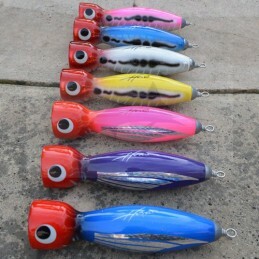 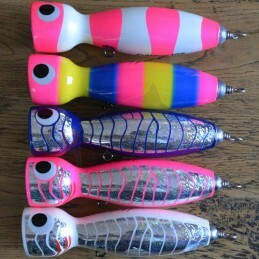 Cubera is perfect for those monster GT's out there. 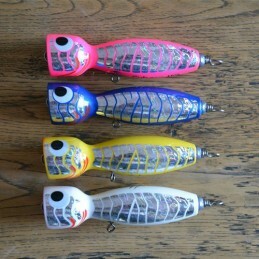 It weigh 125 grams and 195mm long. 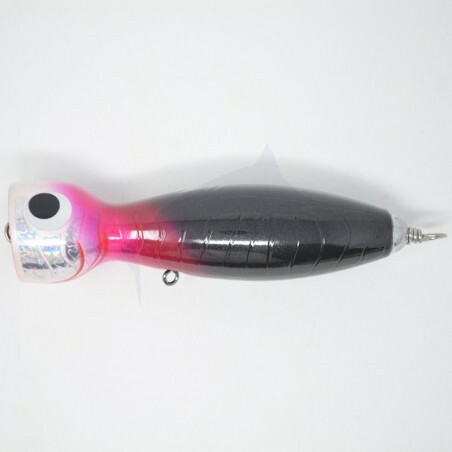 The lure was handcrafted from solid block of hardwood, fully through wired with heavy gauge stainless steel, finished with holographic skin and hand painted and polished. 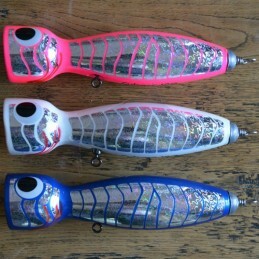 Colour available are blue,white, green, and gold, all with red head, all holographic. 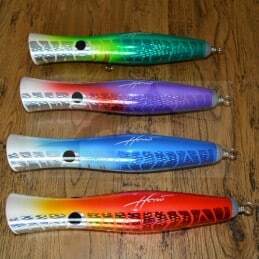 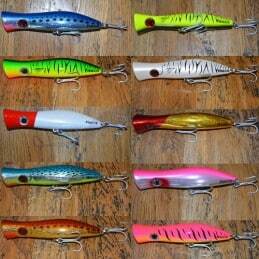 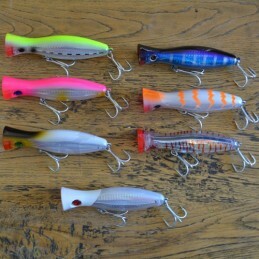 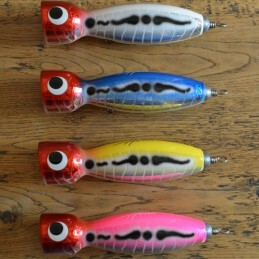 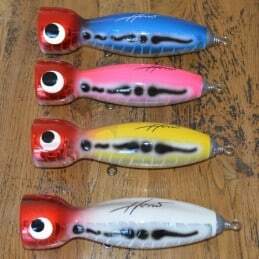 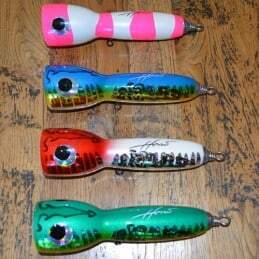 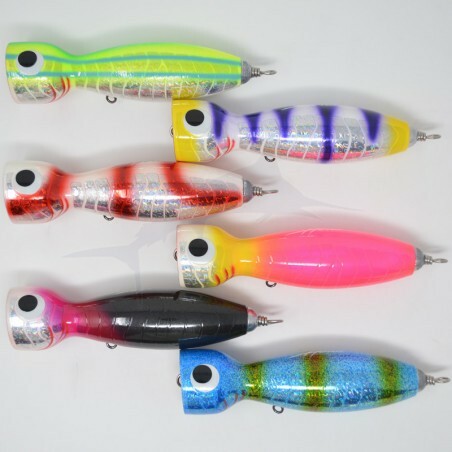 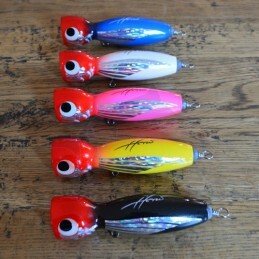 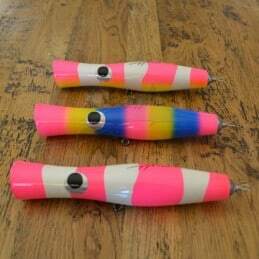 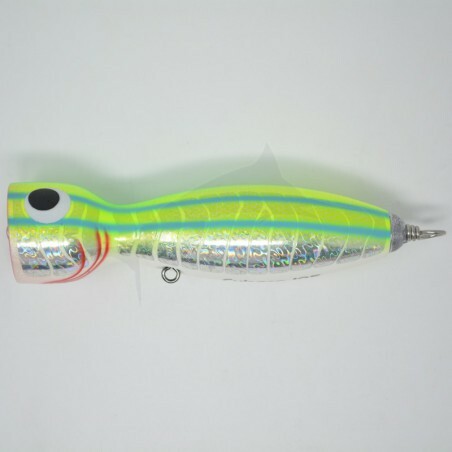 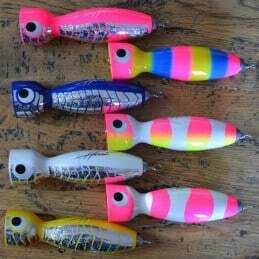 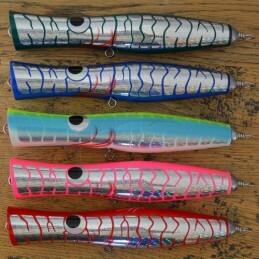 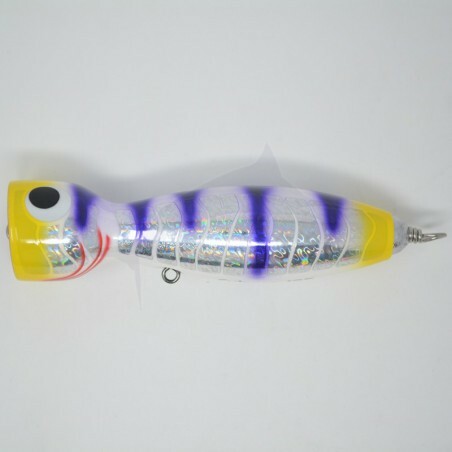 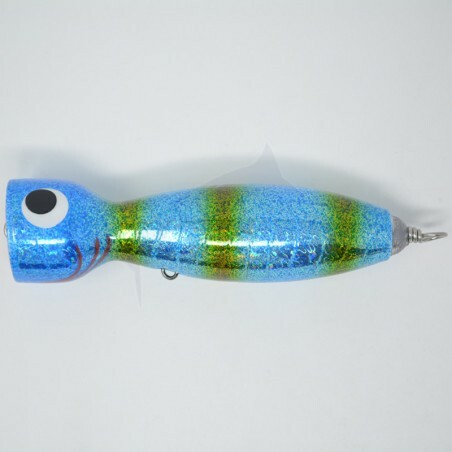 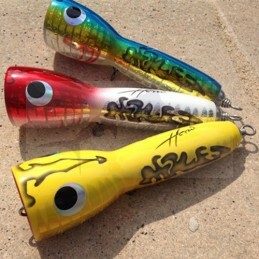 Since this lure is hand made and painted expect a slight variation of color and pattern between lures. 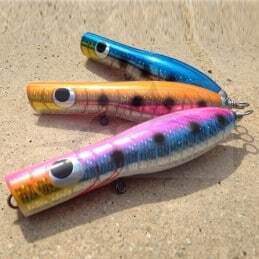 No two lures are exactly the same.